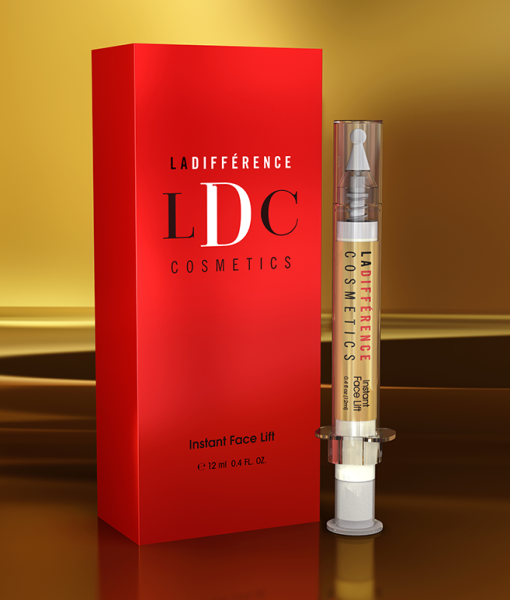 La Différence Cosmetics™ Instant Face Lift combines some of nature’s best kept secrets to firm and tighten your skin. The results are instant and painless. 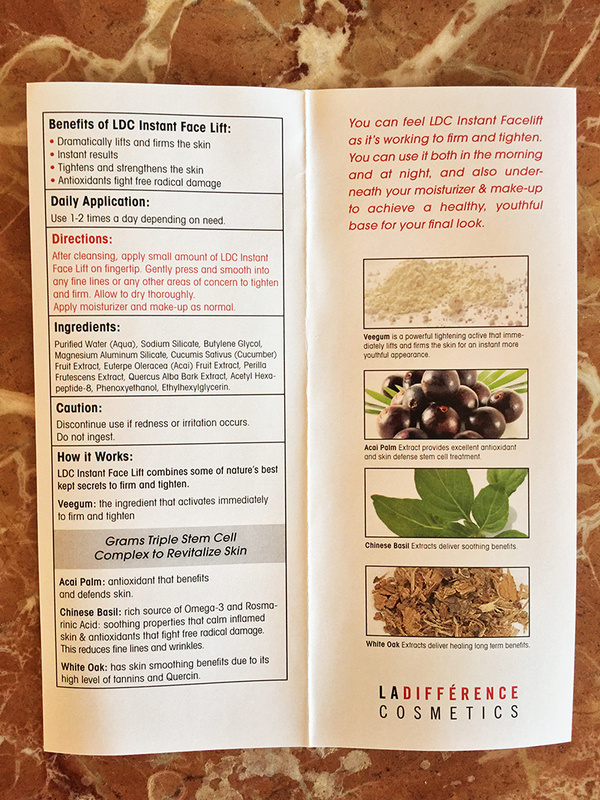 La Différence Cosmetics™ Instant Face Lift is comprised of all natural, scientifically proven actives and ingredients in their purest, most concentrated form. Use it 1-2 times a day depending on your need. 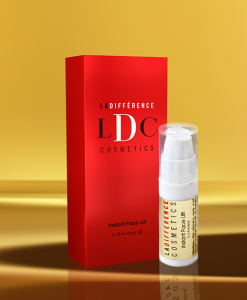 After cleansing, apply small amount of LDC Instant Face Lift on fingertip. 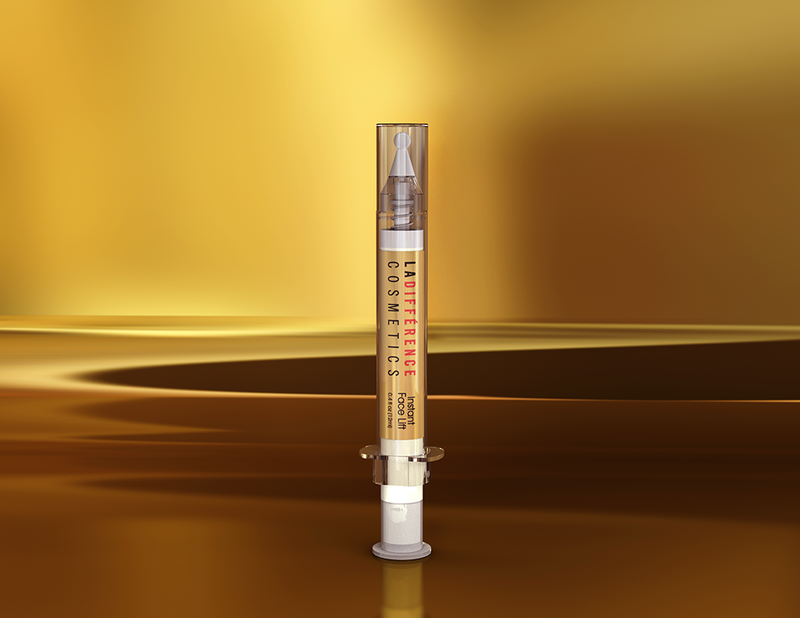 Gently press and smooth into fine lines around the eyes, forehead, mouth and all other areas of concern. Tap and smooth on each section at a time. Allow to dry thoroughly to tighten and firm skin. Apply moisturizer and make-up as usual. 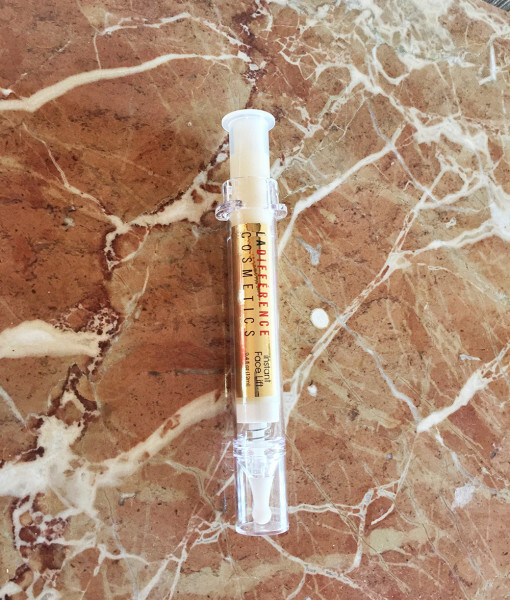 Grams Triple Stem Cell is a cutting edge technology to revitalize the skin and erase wrinkles. Veegum: ingredient that activates immediately to firm and tighten. 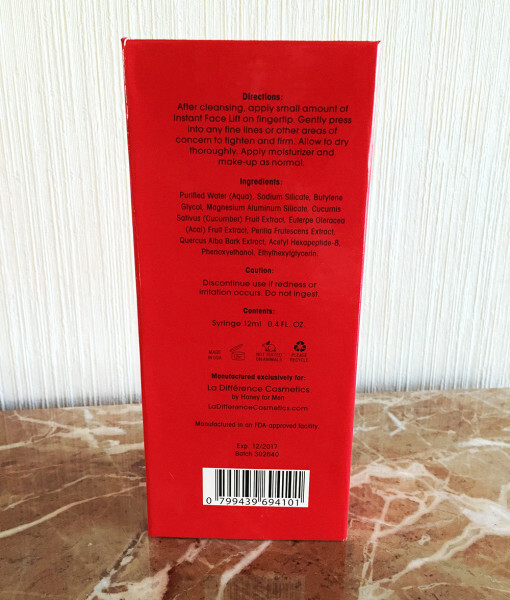 Acai Palm: an antioxidant that benefits and defends the skin. Chinese Basil : a rich source of Omega-3 and also Rosmarinic acid, which has soothing properties that calm inflamed skin and antioxidants that fight free radical damage. 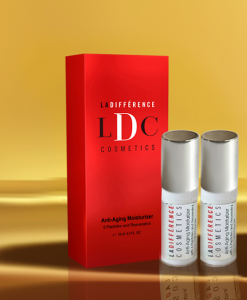 This reduces fine lines and wrinkles. White Oak: has skin smoothing benefits due to its high level of tannins and Quercin. 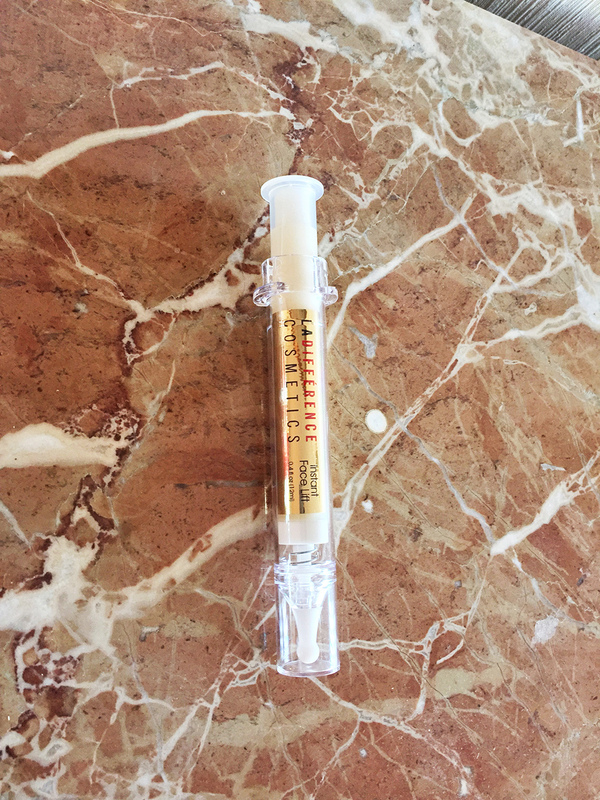 Veegum is a powerful tightening active that immediately lifts and firms the skin for an instant more youthful appearance. 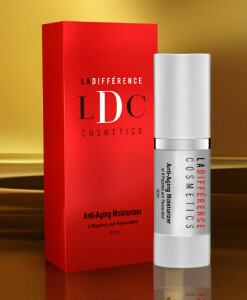 Acai Palm Extract provides excellent antioxidant and skin defense stem cell treatment. Chinese Basil Extracts deliver soothing benefits. White Oak Extracts deliver healing long term benefits. 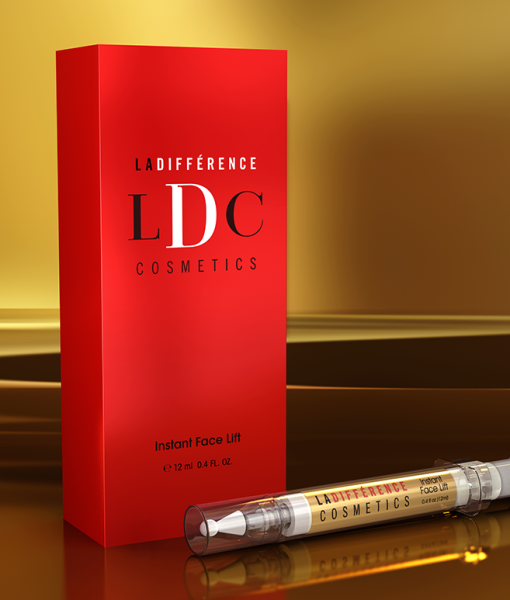 Since I have started using the Instant Face Lift from La Différence Cosmetics my wrinkles have diminished and my jaw line is firmer and more lifted than ever! 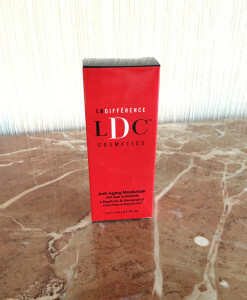 This is why I am involved with La Différence Cosmetics, because the Instant Face Lift works! 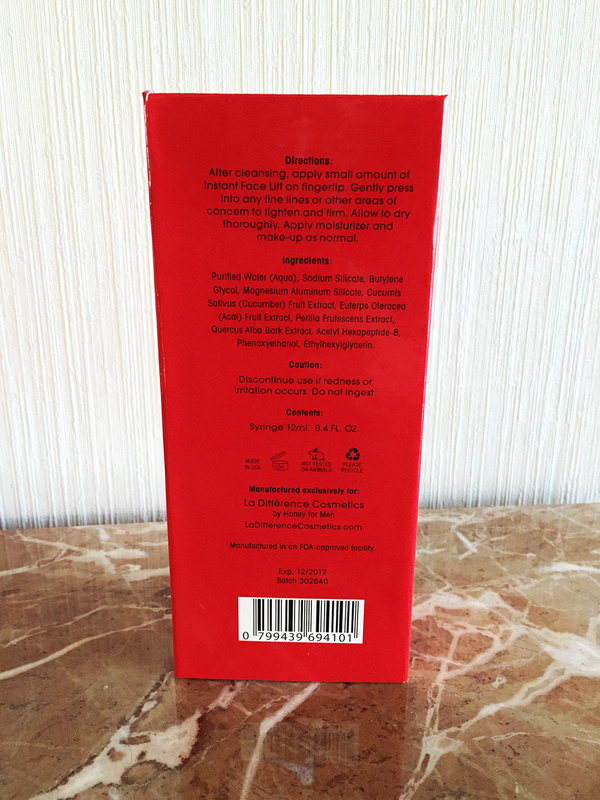 Marina De Maere, j’ai 54 ans aujourd’hui et j’ai eu la chance de pouvoir tester ce produit miraculeux, j’écris bien miraculeux car j’ai pu constater une réelle amélioration de l’aspect de ma peau, particulièrement au niveau du contour des yeux et du cou. 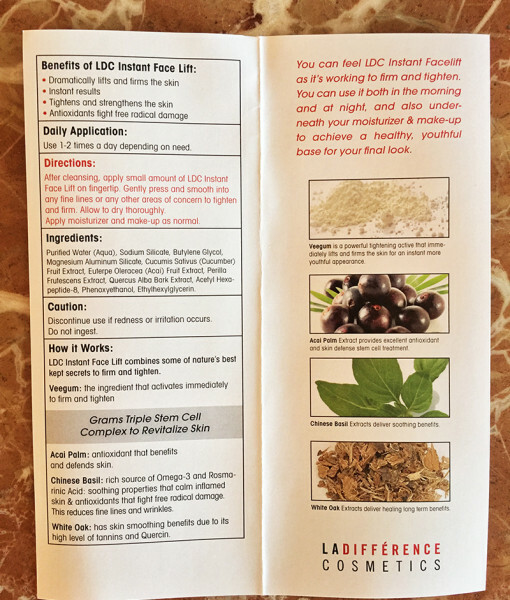 I am 48 and have been using La Différence for a few weeks now, I am very impressed with the results. The skin on my neck is much tighter and smooth. A mini face lift on my jowls. Instantly my skin felt baby soft from the cream. I love the fact that I use my moisturizer over theLa Différence. The package is perfect for no waste. A little goes a long way, you only have to use a small amount. 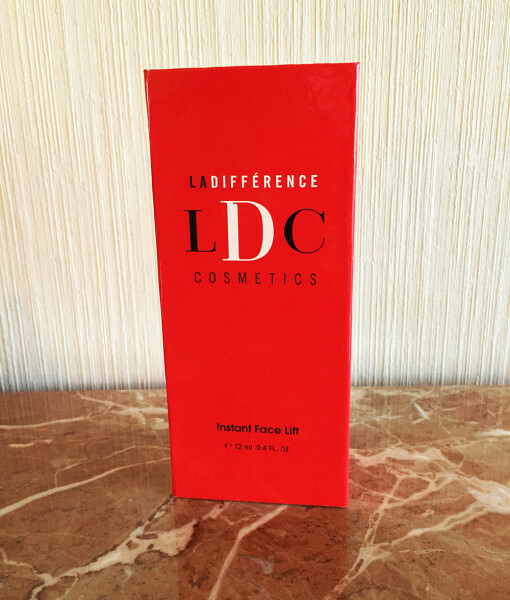 Very happy that I found this instant facelift cream! 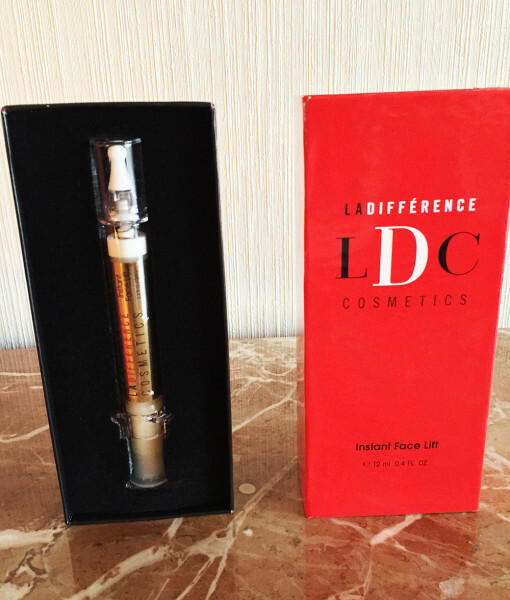 La Différence is a fantastic product for a quick natural lift, no chemicals or toxins, an innovative way to future skin care. I highly recommend it. A person arrives at a certain point of her life where the quest for a fountain of youth becomes a constant effort. After years of looking for the Miracle Product, every additional trial is looked upon with some skepticism. 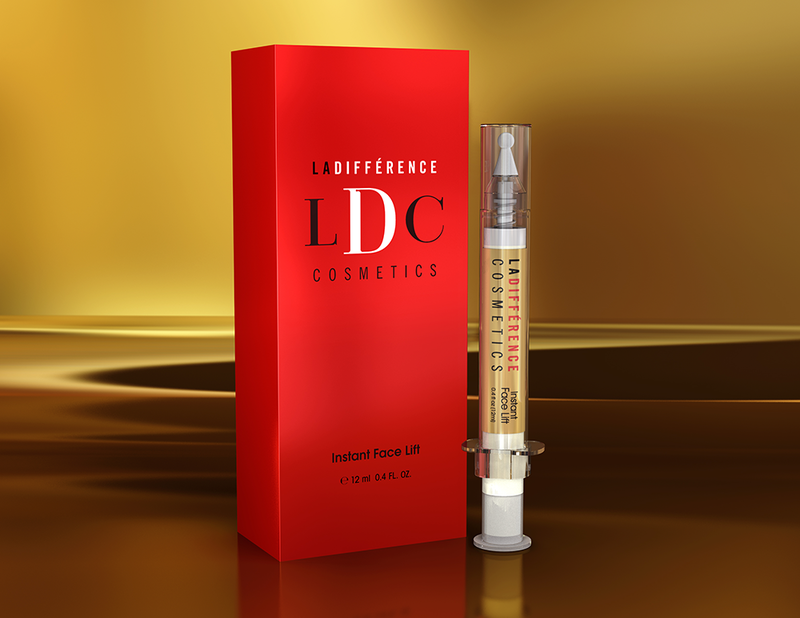 But at the first application of La Différence Instant Face Lift, I had to come to the conclusion that it really makes a difference and I now use it twice daily. Enthusiastic and convinced of its efficiency, with a group of friends, we bought the formula and are now commercializing it. 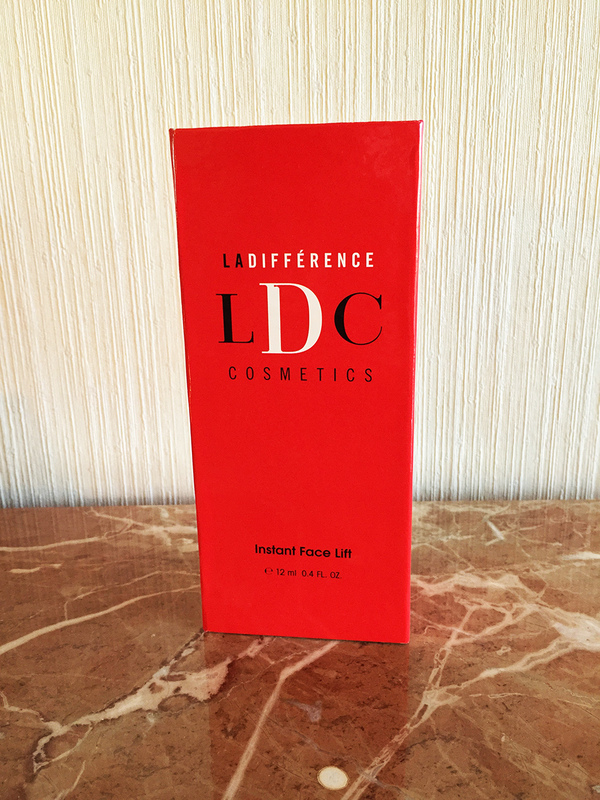 For the last few weeks I have been using the Instant Facelift from La Différence and I find it very effective. The lines on my forehead are disappearing and all the wrinkles around my mouth are gone. I look 20 years younger. It’s really a miracle. I’m very satisfied. 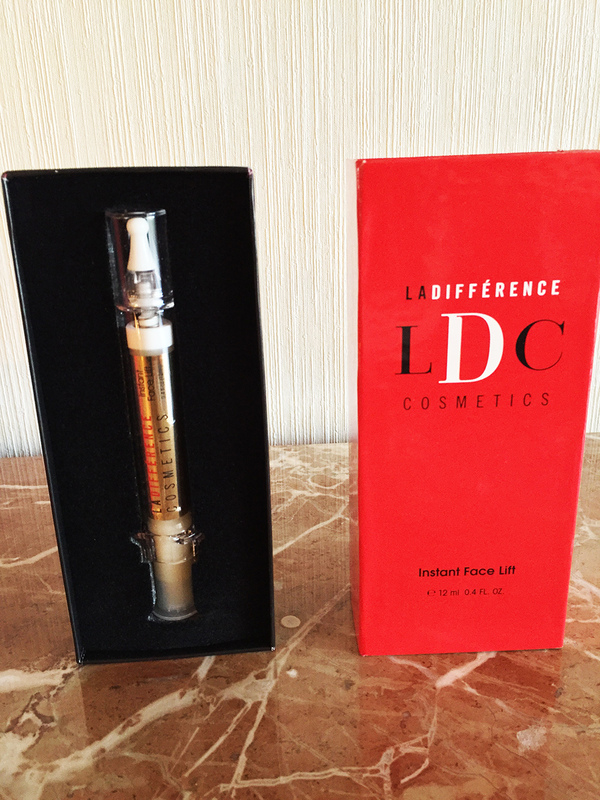 Thank you La Différence. 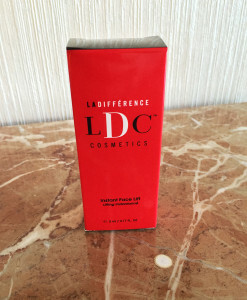 I love this product ! 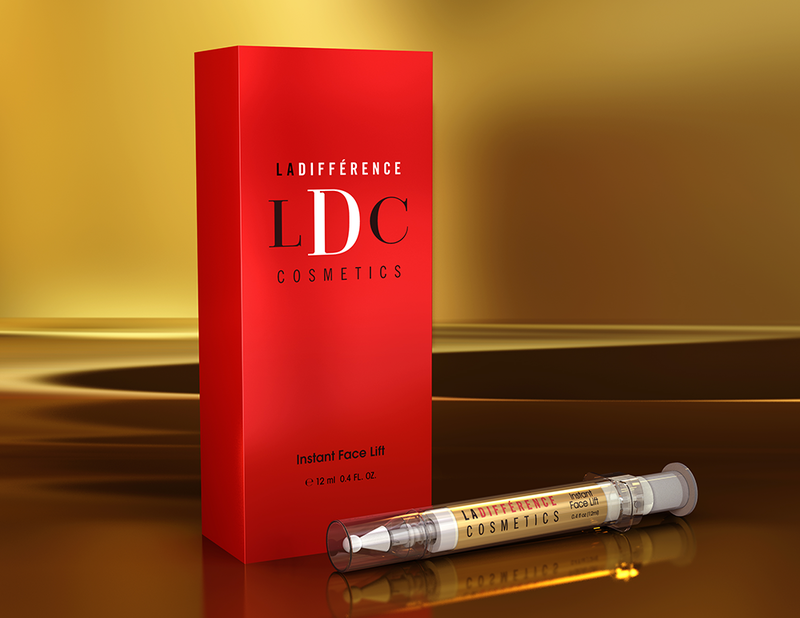 I hate needles and Instant Facelift from La Différence Cosmetics looks like a syringe but has no needle. 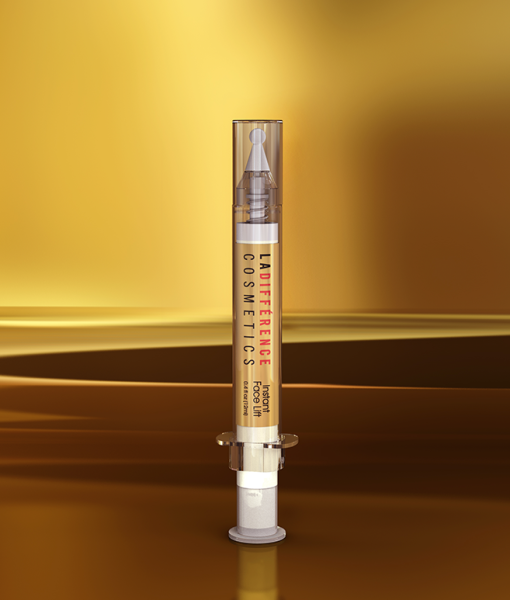 By applying it on my forehead and eyebrows, it helped me raise my eyelids by raising my brows, giving me a younger look without injecting myself with botox.